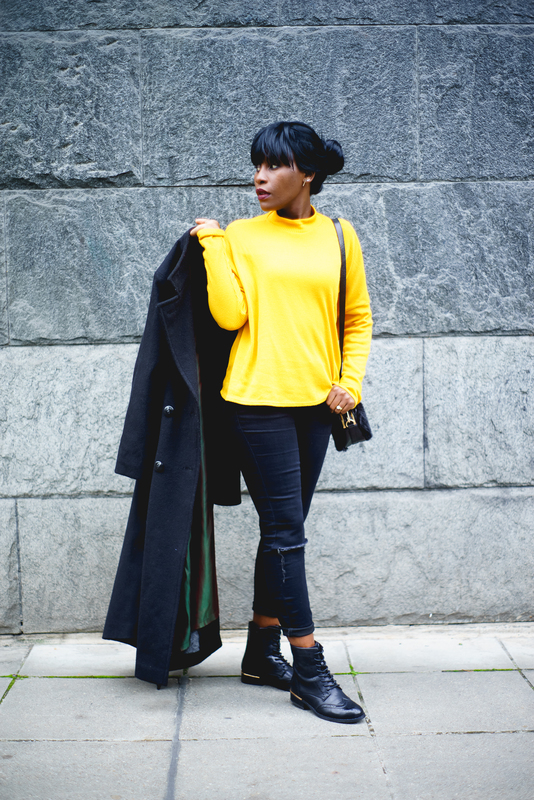 Oversized coat plus yellow Splash – Sara K.
hope you had a lovely weekend, mine has been great, with plenty of rest after a long week. 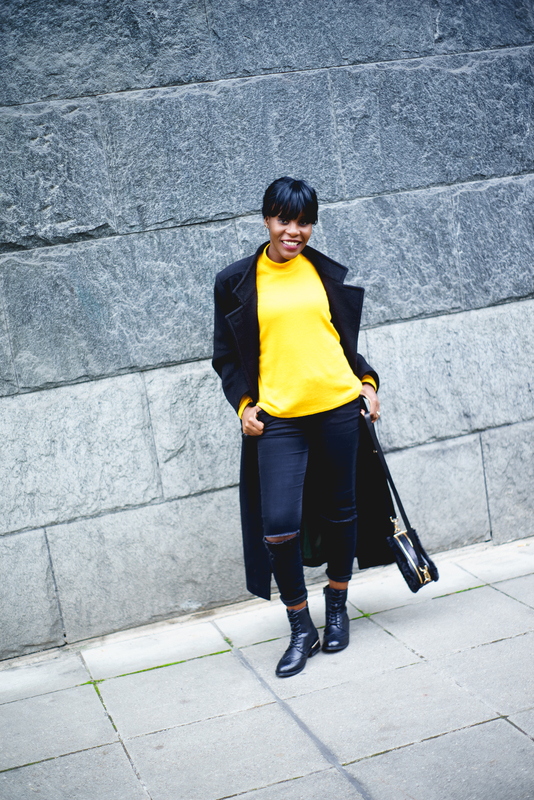 You might have noticed my outfits are quite colourful these days, that is because I have been enjoying bright and bold colours… if you like something, wear it! 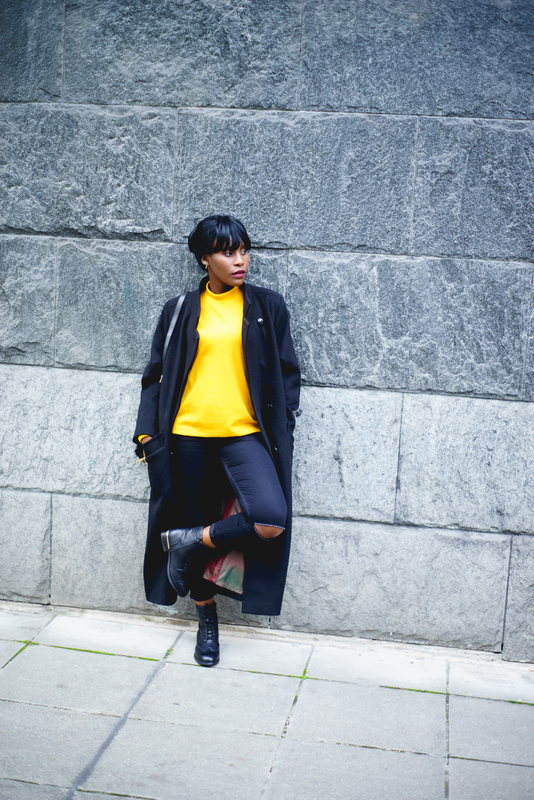 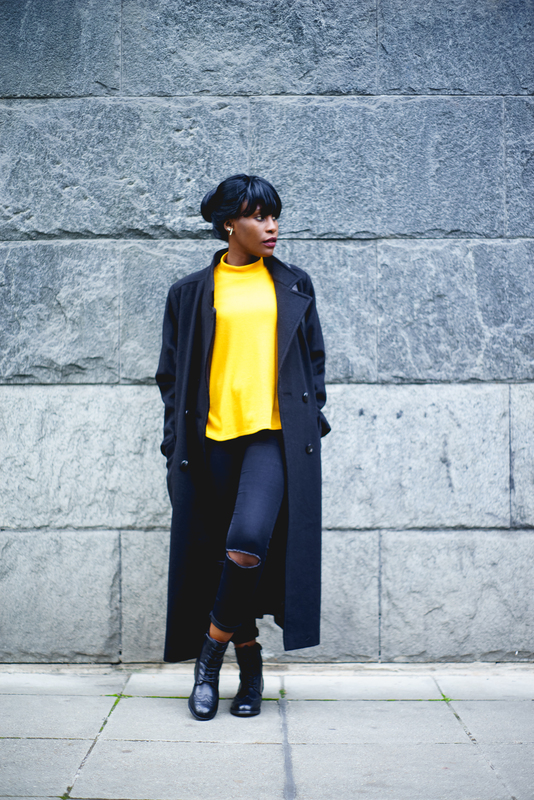 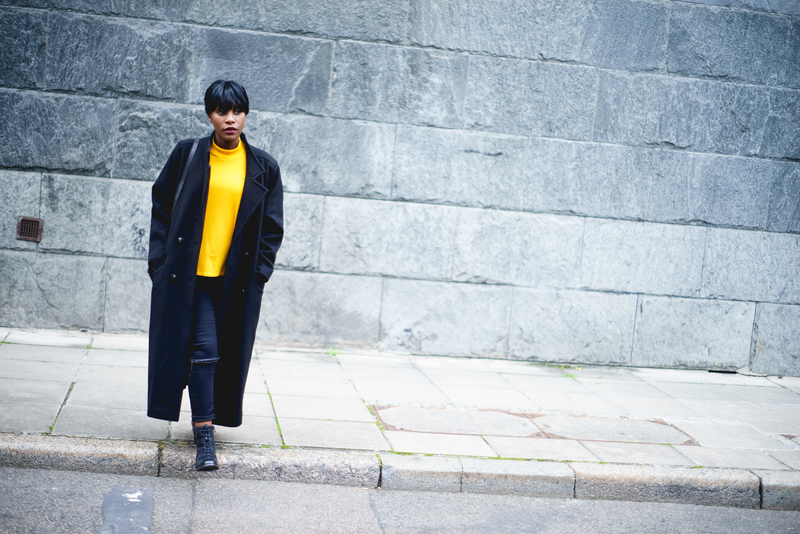 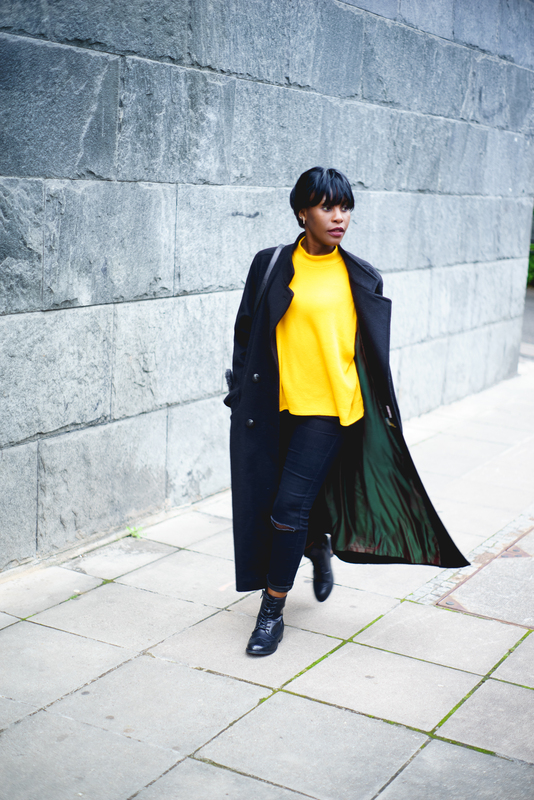 – there are no rules to the game :P.
I like this Black and Yellow combo and the balance between the Oversized Coat with the Skinny Jeans (body hugging at the bottom and loose fitting at the top). 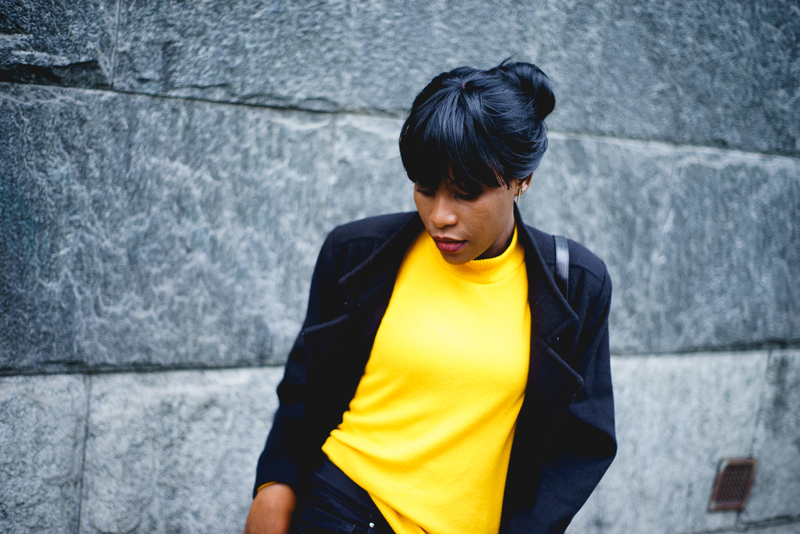 The Yellow Pullover was a great way to break up the all Black look. 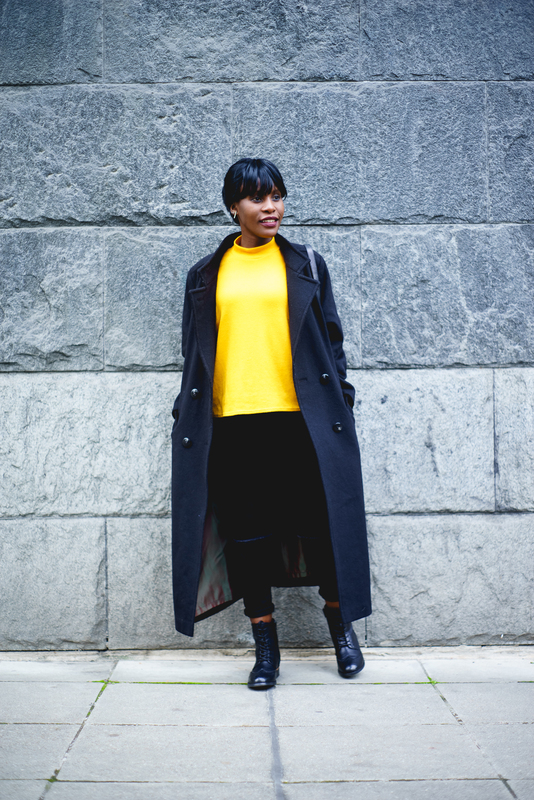 Kind of reminded me of the that “Black & Yellow” by Wiz Khalifa. 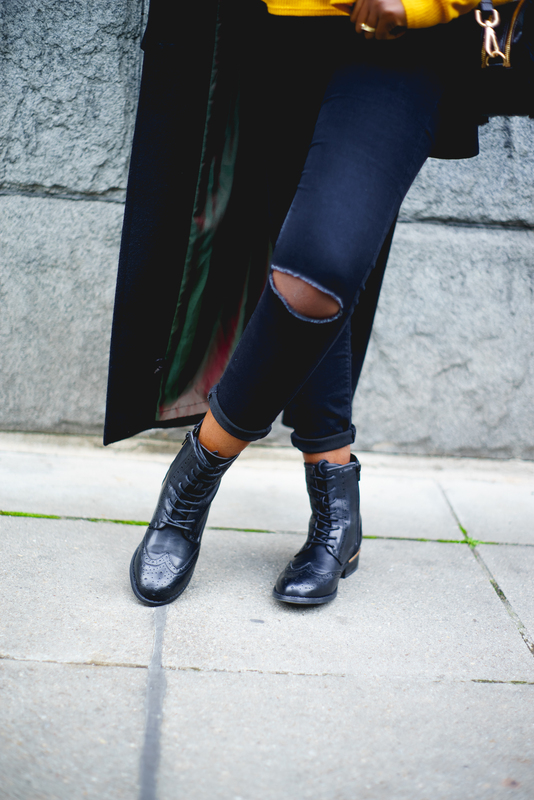 As usual, I like to dress simple and practical and also depending on my day, I vary from flats to heels and on this day Army boots were a perfect choice, adding some edge and fun to the entire look. 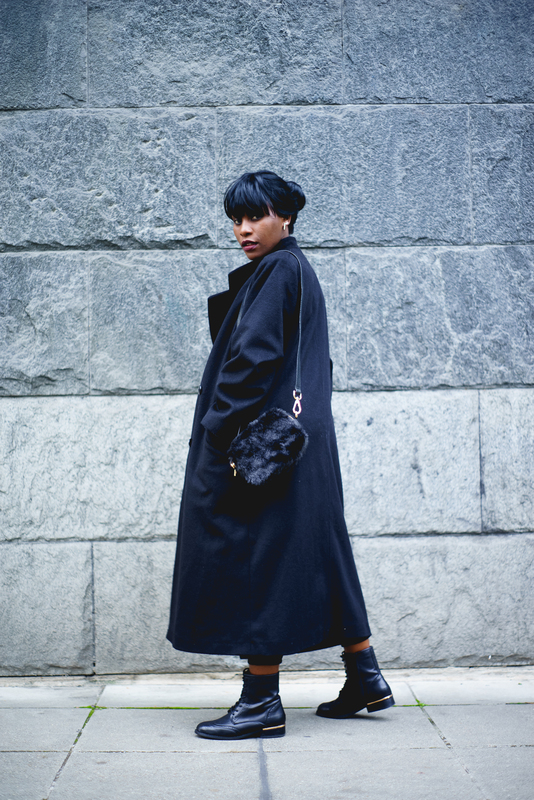 Hope you enjoyed this style and catch you next time.